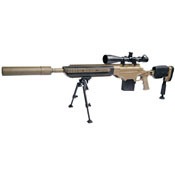 Get the ultimate sniper experience with ASW338LM. 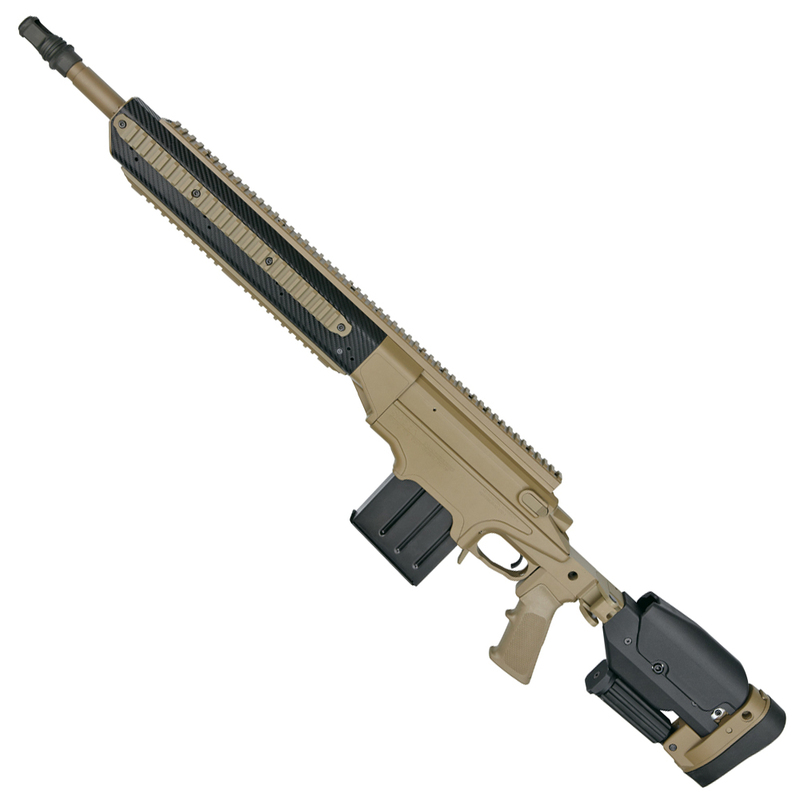 Designed from original 3D drawings provided by Ashbury International Group Inc, this fully licensed high-end airsoft rifle looks and handles just like the real thing. This precision airsoft gun features a monolithic full length top rail for scopes as well as a carbon-fiber look for-end with bottom rail and side rails that are co-bore aligned for mounting bi-pods and other tactical equipment. The ergonomic folding Push-button adjustable shoulder stock is custom fitted with adjustments for length of stock, cheek-piece height, and vertical recoil pad placement. 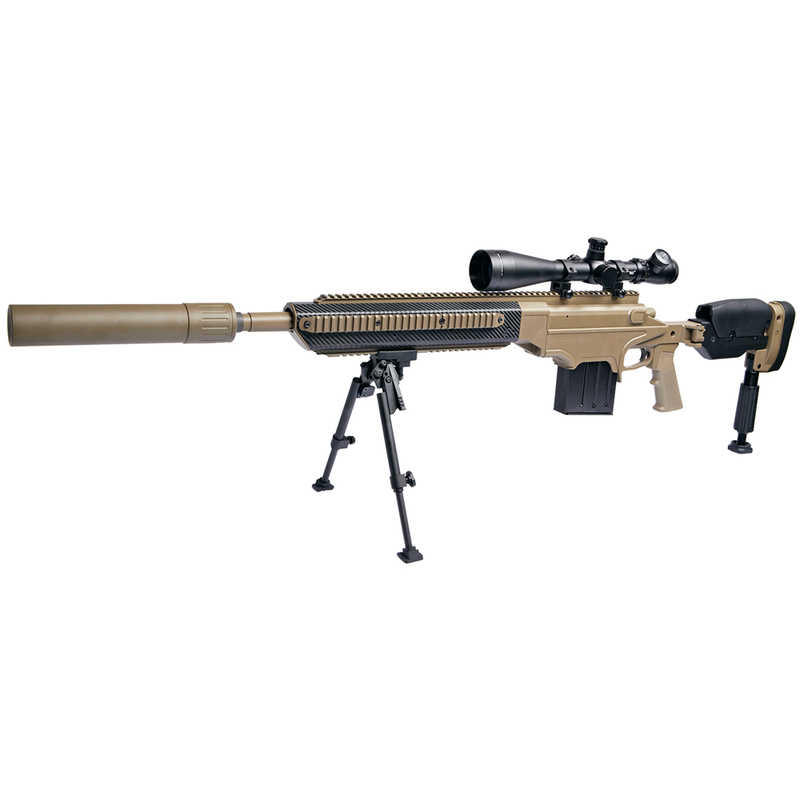 It comes with a versatile adjustable field Mono-pod, and a mounted muzzle brake with a large 28mm external thread for quick mounting of a designated silencer (not included). 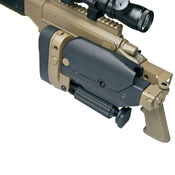 The Rifle has a unique loading system which allows correct placement of the magazine for added realism.